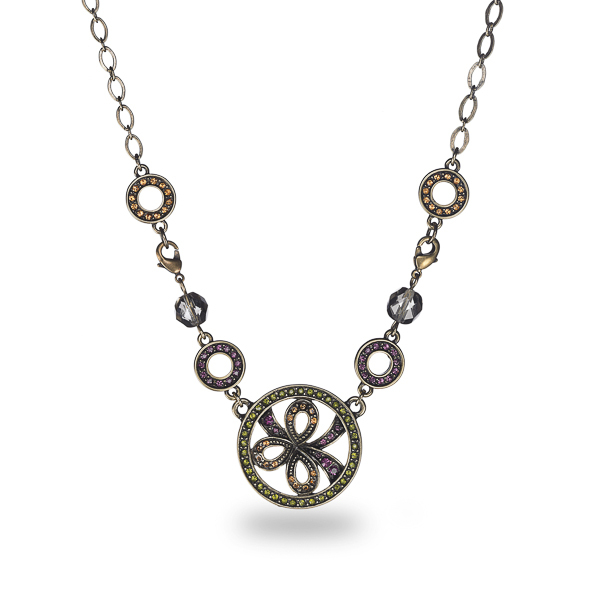 Description: Oxidized bronze plated necklace with floral inspired design. She displays a beautiful mix of amethyst, topaz, and olivine crystals with black diamond glass beads. She is surely a spirit picker-upper and can be worn any day of the week. Enter Quantity for N-AE002 to add to your shopping cart.